Accepting performance idea submissions NOW!!! All types of performance!!!! Get in touch NOW NOW NOW! Also get in touch if you just want to help run this wild occasion! We’re at it again folks! 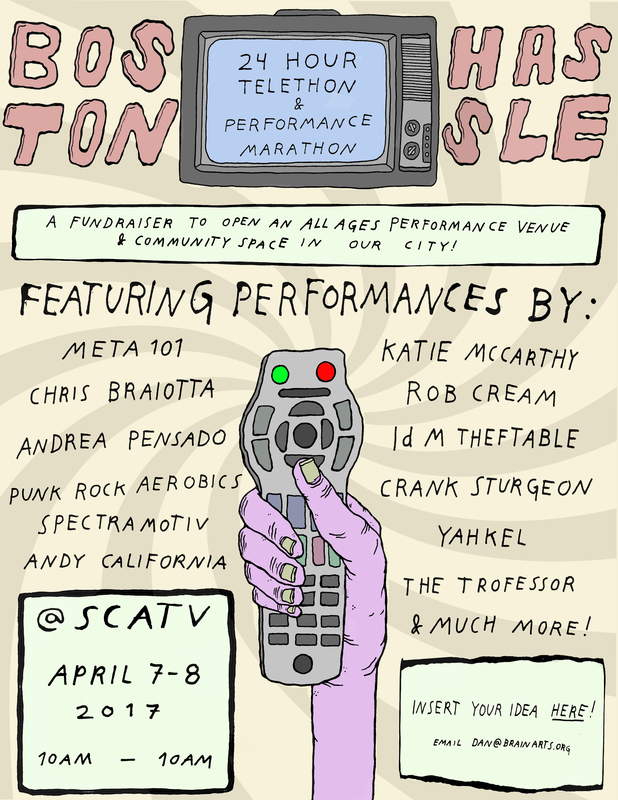 Our 24-hour televised fundraising arts extravaganza approaches. More info to come, but while you wait enjoy some of the acts from last years Telethon or donate! all inclusive, all ages art market/ community center/ performance space. We raised $3500 through last year’s telethon towards this goal (currently sitting, waiting in the BRAIN Arts bank account), and we hope to raise the rest, the bulk of what we need through this year’s telethon.